NASA may have to book seats for American astronauts on Russian Soyuz spaceships in 2018. Radio Sputnik discussed the issue with John Logsdon, Professor Emeritus of Political Science and International Affairs at George Washington University. “The relationship between NASA and the former Soviet Union goes back a long way with the highlight being the 1975 Apollo-Soyuz project. But with Russia taking over, the two countries basically merged their space programs with the launch of the ISS, which has proven very successful,” Professor Logsdon said. When asked which of the joint US-Russian projects on the ISS he saw as the most important, he said that the mere fact that the US and Russia are the chief partners, along with Europe, Japan and Canada, in managing the space outpost is the real achievement. “The hardware is provided by the United States, by Russia, by Canada, Japan and Europe, astronauts and cosmonauts from all the partner countries are there,” Dr. Logsdon continued. Mentioning the Bigelow Expandable Activity Module (BEAM), NASA and Roscosmos have agreed to build together for the ISS, John Logsdon said that Mr. Bigelow, who had been trying for years to put private inflatable modules in orbit, had finally managed to do so using Russian launch vehicles. When asked whether the lunar reconnaissance orbital telescope, used since 2009, has brought any tangible results, Dr. Logsdon said that people now know the exact location of water on the Moon’s surface. “The idea is that in the dark craters of the Moon, at the North and South Poles, there are deposits of water, which could eventually be used as a rocket fuel. Speaking about future cooperation between NASA and Roscosmos, Dr. Logsdon said that because the ISS will eventually be decommissioned as its hardware will eventually run out, Russia and the US will have to agree when exactly this is going to happen. “They have agreed to operate this station through at least 2024. 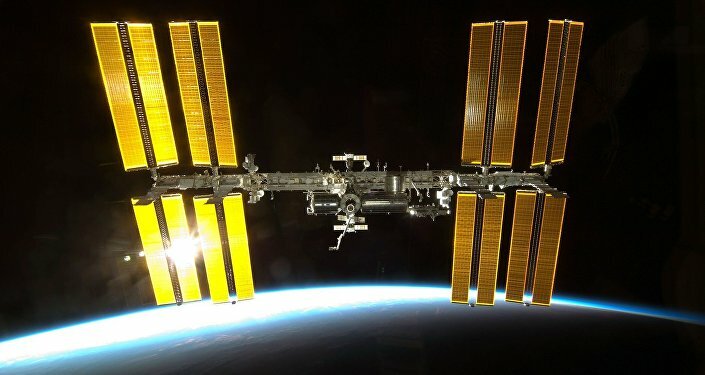 Russia wants to separate its modules from the ISS and make them the core of its new space station and if that happens, it would be an interesting development,” Dr. Logsdon noted. When asked if he expected any changes in this cooperation under President Trump, John Logsdon mentioned Trump’s stated desire to work closely with Russia on a wide variety of issues. “He hasn’t really addressed his policy with respect to space yet so how he will configure that to include Russia as a future partner is still up in the air,” Dr. Logsdon added. NASA is already using Russian space rockets, but plans to switch to US ships. Earlier, in 2016, NASA announced it won’t be working with Russia’s Roscosmos space agency any more to transport its people to the ISS. NASA’s Associate Administrator for the Human Exploration and Operations Directorate, William Gerstenmaier, told journalists in October that NASA had no such plans and hopes to begin delivering astronauts to the International Space Station via Boeing and SpaceX ships this year. However, neither will be ready until late 2018 at best. Despite NASA’s eagerness to ditch Russian transport ships, cooperation continued in other areas. For instance, the agencies agreed on building a Bigelow Expandable Activity Module for the ISS together. The agencies previously worked together on projects like the Mars Odyssey satellite, the Lunar Reconnaissance Orbiter telescope, and the Curiosity rover. NASA and Roscosmos have been involved in joint projects since 1993, and before that, NASA worked with the Soviet space program.